Conspiracy theories went viral after C-SPAN’s regular footage was replaced by RT’s news feed for 10 minutes, switching from their live coverage of proceedings in the House of Representatives on the Securities and Exchange Commission (SEC). Representative Maxine Waters (D-California) was in the middle of a speech about an SEC regulation on the House floor at 2:30pm ET when the picture switched to an RT newscast from Moscow. Speculation and conspiracy theories went viral on Twitter after the event happened, with some saying that it was a hack and others calling it cyber warfare. RT had no way of cutting into the C-SPAN broadcast. 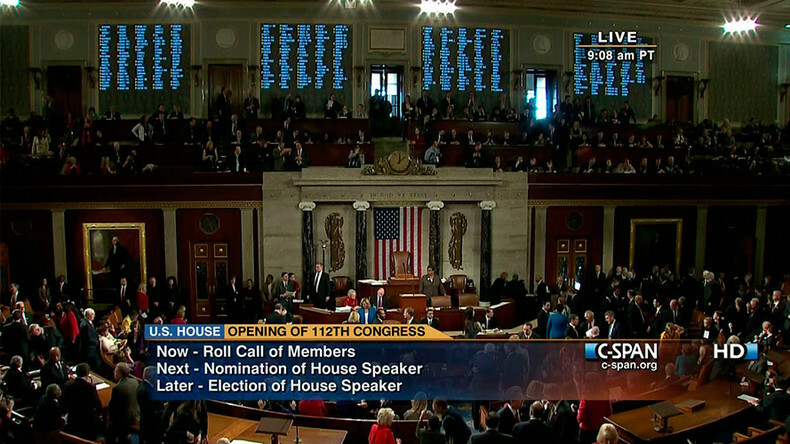 The entire broadcast footage from C-SPAN can be viewed without interruption on their site.